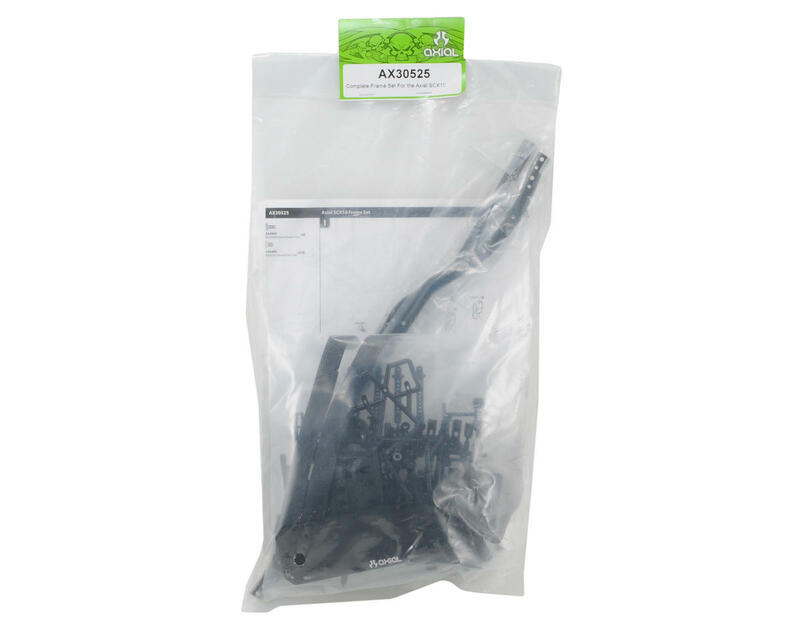 This is a optional Axial SCX10 Frame kit, intended for use with the Axial Scorpion Rock Crawler. 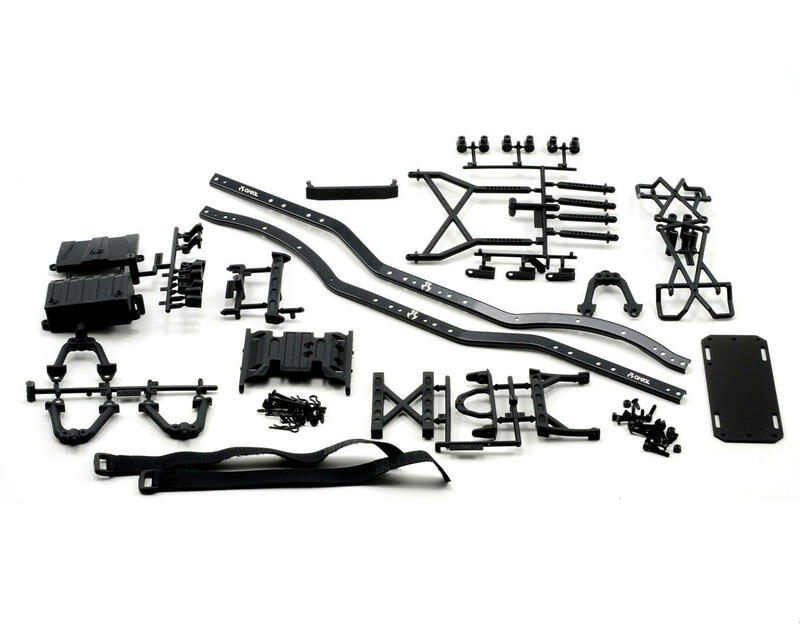 This is a complete conversion kit and includes frame rails, cross bracing, radio box, and battery mount. Using strong composite plastics, rigid steel ‘C’ channel rails and realistic bolt on shock hoops, this kit allows you to easily convert your AX10 or any other axles to a more scale appearing 1.9 tire size scale crawler chassis. Spektrum RC Standard Servo Extension 9"